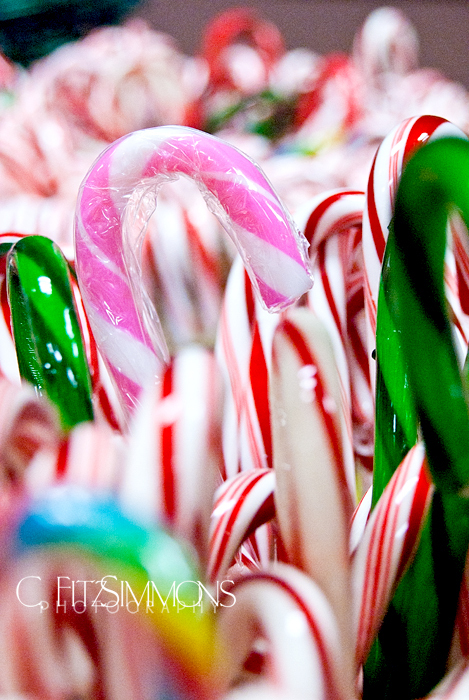 This entry was posted in 365 Day Photography Challenge and tagged 365 Photo Challenge, candy, candy canes, Christmas, color, Riverside by Cyndi the BookChick. Bookmark the permalink. Wonderful imagery in sugary treats, the pretty, gleaming photo of them, and that great song from a favorite movie I’m long overdue to revisit! I hope you are in full recovery mode after the Big Production, my dear! And my daughter wants to be in next year’s show already!!! You know, if I would just get some sleep, I would be well rested after the big to do! I am long overdue to visit Chitty Chitty Bang Bang as well. I should watch this week in honor of my dad, who loved it and had us all convinced after watching it as kids, that those low flying airplanes with head lights on at night were that magical car! *And* I personally think the Child Catcher is one of the most delightfully creepy film villains of all time! Gave me nightmares! Then, as I watched the Lord of the Rings The Two Towers, I saw a character who had the same creepy spirit – Wormtongue. Thanks, Adeena! You know, I am going to miss the daily posts of your beautiful children! Ok, a little late here, but I had to comment on this one. Love the colorful candy canes and Chitty Chitty Bang Bang is my favorite musical, close second Fiddler on the Roof. I had a fallen tree as a kid that I would bounce on and it would make the noise of the car as it bounced. The them song would then come out loud and strong as I bounced on that tree. My dad had us convinced, as children, that low flying airplanes at night were Chitty Chitty Bang Bang. Each time I see one, I think of him.